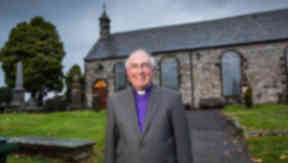 Rev Dr Angus Morrison was supposed to take over this year but had to stand down two months before the General Assembly. A minister who was forced by illness to stand down as the Kirk’s Moderator two months before starting the role will take it on this year. Rev Dr Angus Morrison was made Moderator Designate in October 2013 and was due to take over at the General Assembly in May. But illness forced him to stand down in March to be replaced by Rt Rev John Chalmers. 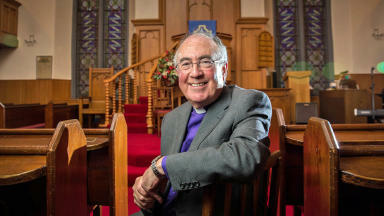 On Tuesday, the Church of Scotland said Rev Dr Morrison has now recovered and will take on the role in 2015. The minister of Orwell and Portmoak Church in the Presbytery of Perth will take on the role from next May. He said: "I am thankful that a very good recovery, following surgery, has made it possible for me to accept the nomination. "My wife and I are deeply appreciative of the support and prayers of so many across the Church during this recent difficult period. In dependence on God’s grace, I look forward to the opportunities and challenges of the year ahead. "On various fronts these are difficult days for our Church, as they are for many other denominations. "We may at times find ourselves perplexed and saddened, but as people of Christian faith there is no real place for discouragement. 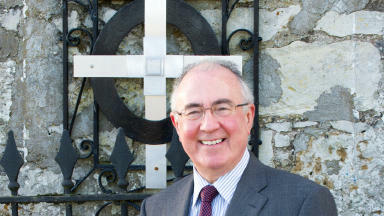 "My main hope and prayer for the year ahead is that it may be possible to encourage a fresh focus on the centralities of our faith and calling, and that we may find new ways to bring encouragement and support to one another, so that in the power of the Holy Spirit, the vital ministries with which we have been entrusted, in fellowship with all God’s people, may truly flourish, for the enrichment of the people of Scotland and beyond." The Moderator of the Church of Scotland leads daily worship, rules on points of order and signs documents on behalf of the General Assembly. They also travel as the Kirk’s representative in Scotland and overseas.